Two Mass Effect: Andromeda trailers dropped today, revealing new teammates, aliens, backstory and—gasp—a kissing scene. The game will be released on March 21st. Andromeda follows the Pathfinder Team, whose job is to “find and secure potential golden worlds, identify settlement sites and start the process of building our new home” for 20,000 people marooned in space. 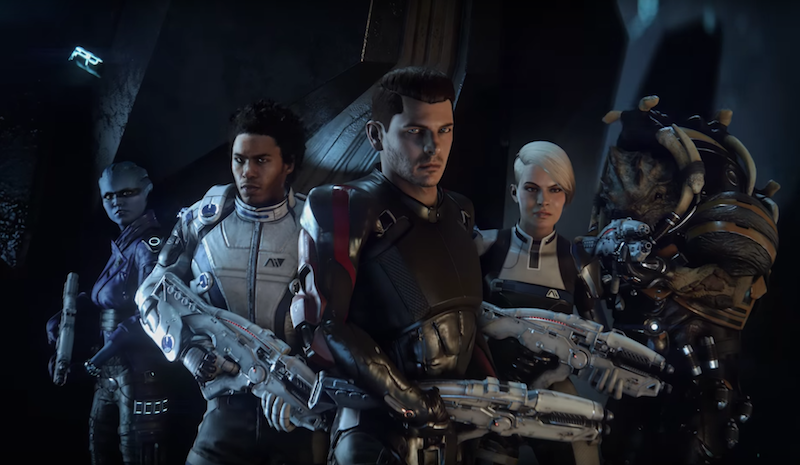 In the trailers, we learn more about Lieutenant Cora Harper and space explorer Alec Ryder, a member of the original task force, as well as some other starting squadmates. We’re also introduced to a few new aliens, all of whom look totally awesome.